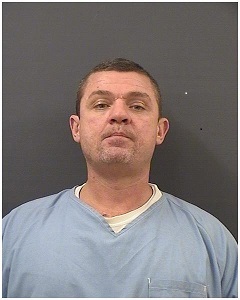 NASHVILLE – The Tennessee Bureau of Investigation has obtained an indictment for a Hendersonville roofer charged with multiple counts of theft. At the request of the 18th District Attorney General Ray Whitley, TBI Special Agents and officers with the Hendersonville Police Department began investigating Nickey Lowe Evans on May 1, 2013. Evans owns the Inspector Roofing company, with offices in Jackson and Hendersonville, TN. Agents determined that between April 2012 and December 2012, Evans entered into multiple contracts with customers to replace their damaged roofs. Once he received payment from the customer or insurance company, he failed to complete the work despite multiple attempts from homeowners to have him either return the money or complete the work. Today, the Sumner County Grand Jury returned an indictment charging Evans, 40, with ten counts of theft between $1,000 and $10,000 and one count of theft between $10,000 and $60,000. After being indicted, Evans pled guilty to those charges through an information plea and was immediately booked. Evans was found guilty earlier this year of multiple thefts from the same scheme in Madison County and pled guilty in November 2013 to similar charges in Robertson County.